This 8-hour online course is available only to RCFEs that are licensed by the State of California. When registering for this continuing course, please include your License number in the Notes section of the payment form. 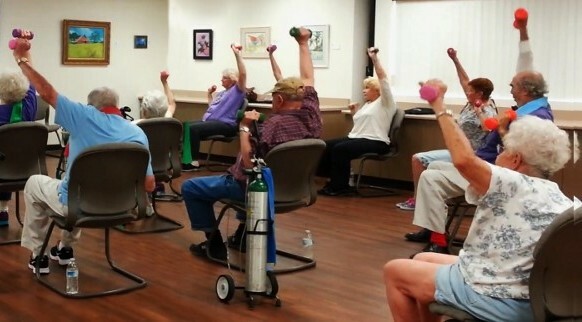 This continuing education course is ideal for administrators, activity directors or supervisors of activity directors who want to expand their knowledge of strength training for the older adult population, especially adults over the age of 75 that are at high risk of falls. Credits: Advanced Strength Training Techniques for Older Adults is an accredited continuing education course that is approved by the California Department of Social Services (CDSS) for 8 CEUs, Vendor 2000509-740-2. This course is done completely online; nothing is mailed. Participants must pass small modular quizzes throughout the course and a written examination at the end of the course in order to receive their Certificate of Completion. How to Register: Fees can be paid with Visa, MasterCard or Discover online or by phone, 1-888-437-4348 x3, or you can send your check to: Geri-Fit Co. LLC, P.O. Box 2522, Temecula, CA 92593. Please include your email and a phone number in case we need to reach you. Login credentials will be emailed to the buyer within 24 hours of receipt of payment. Due to the copyrighted nature of the online course content, there are no refunds once fees have been paid.